Kate called this winter to ask if I could offer some program elements for this event, and I jumped at the chance. 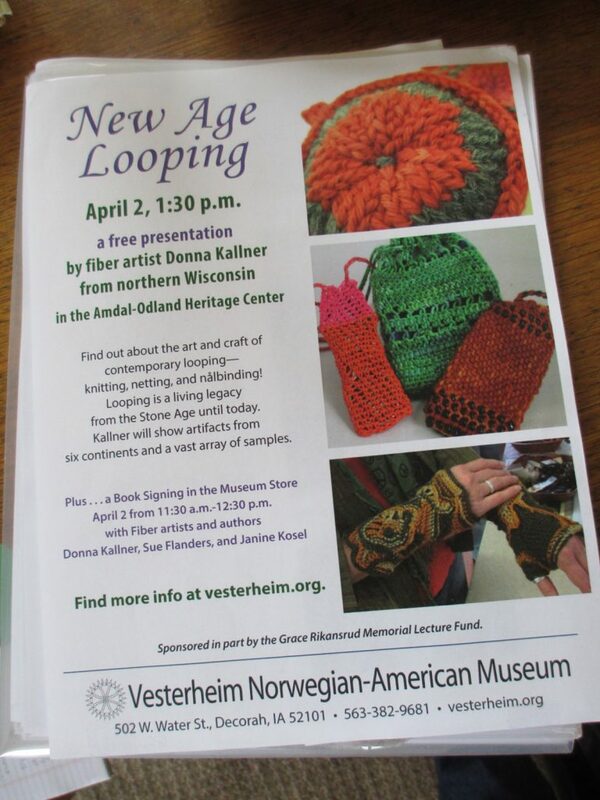 I did a half-day workshop on cross-knit looping on the edge, and a short seminar on teaching basic looping. 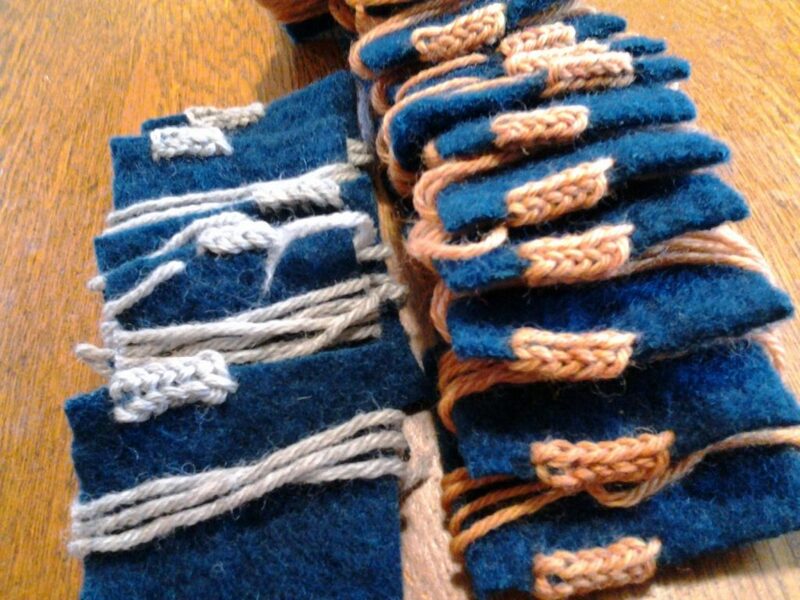 One of Kate’s ideas for the gathering was to have participants bring fulled samples of a basic mitten start so we could all have the benefit of comparing a wider variety of yarns. This was so helpful! And it gave me some new yarn crushes. 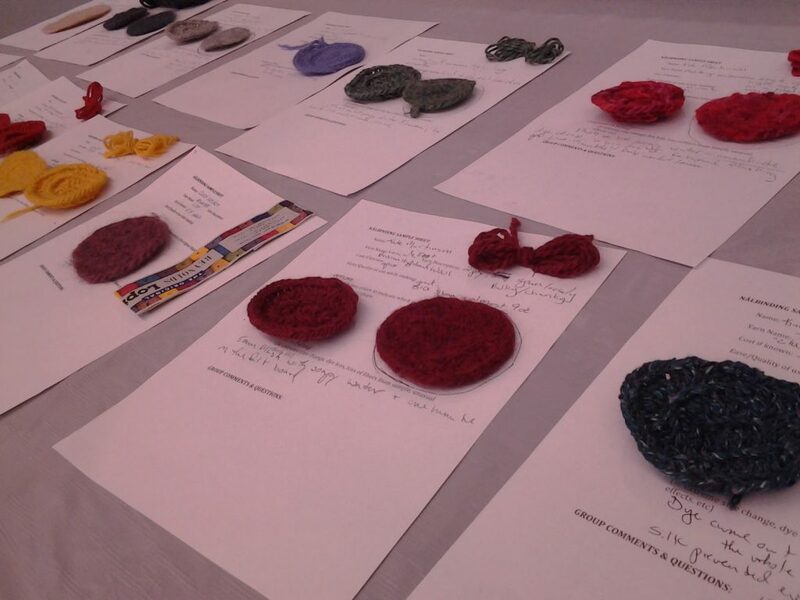 I also learned a lot about yarn and got some great ideas in a session with Sue Flanders and Janine Kosel that was tailor-made for inspiration. 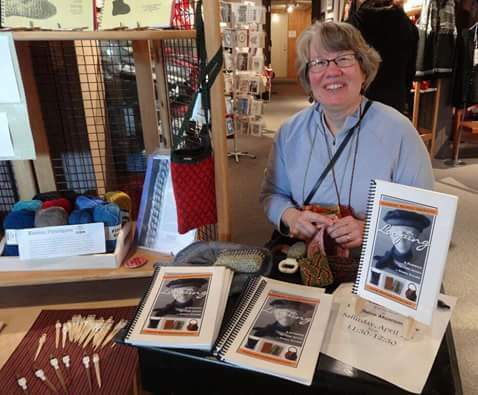 The museum store invited me and Sue and Janine to do book signings during the event, and it was fun to see some familiar faces and meet new looping enthusiasts. On Saturday afternoon, I unpacked my looping sample case and did a lecture with stuff you could touch that was open to the community. 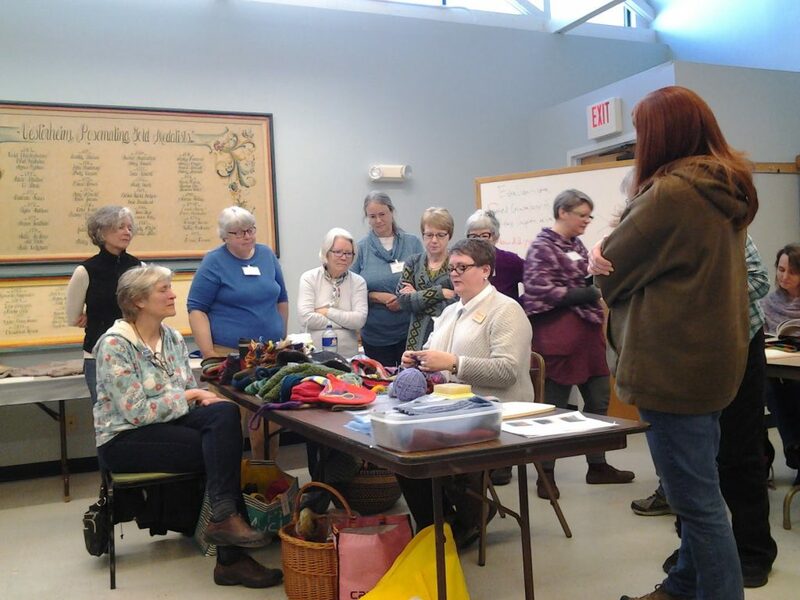 In addition to the nalbinders, the room was packed with a Madison knitting guild on a daytrip to Decorah. In the rush to get from book signing to lecture to seminar, I didn’t take a single picture. But Amy Vander Vorste (the Shy Red Fox) included some (and much more!) in her Needles, Knots & Wool podcast. 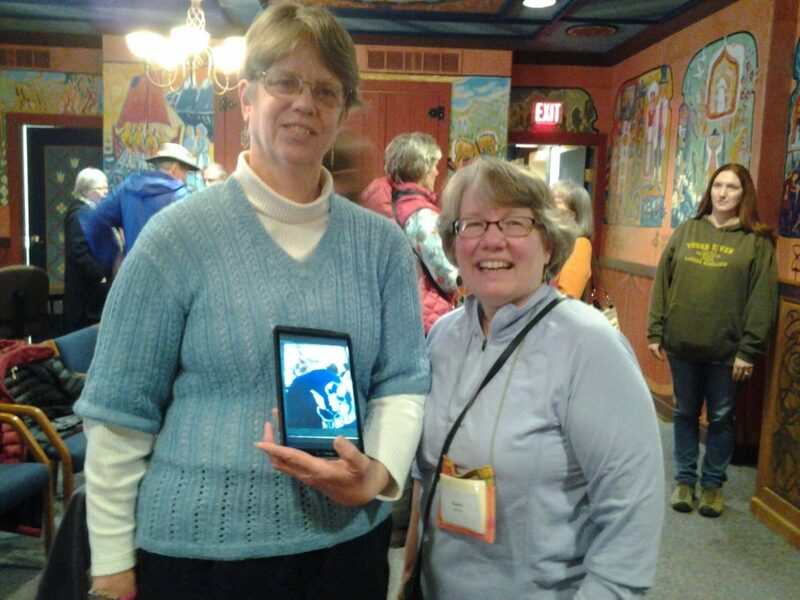 I did get one picture: This is me with the granddaughter of Grace Rikansrud. The lecture was sponsored in part by a memorial fund that honors this amazing knitter. I wish you could see the photo on the tablet — a picture of Grace’s daughter wearing one of Grace’s creations. 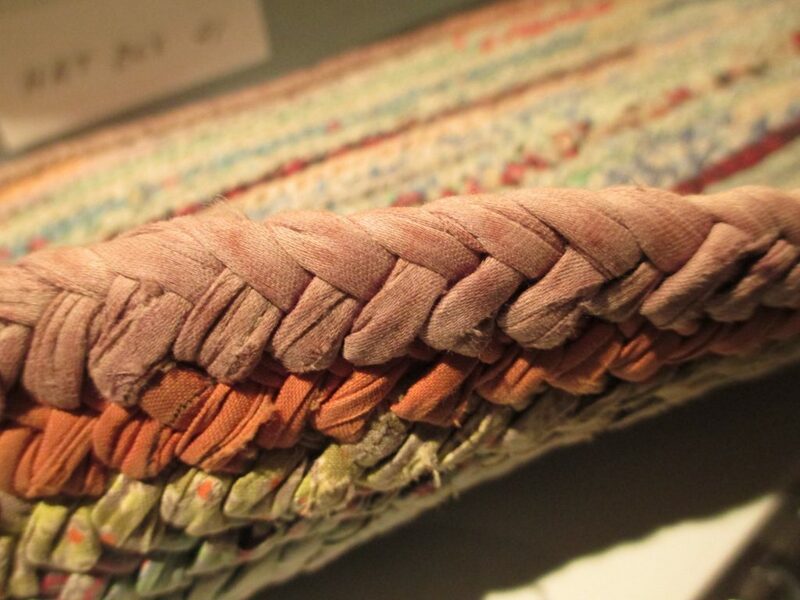 I stayed in Decorah an extra day to spend some time with curator Laurann Gilbertson in the museum’s textile collection. 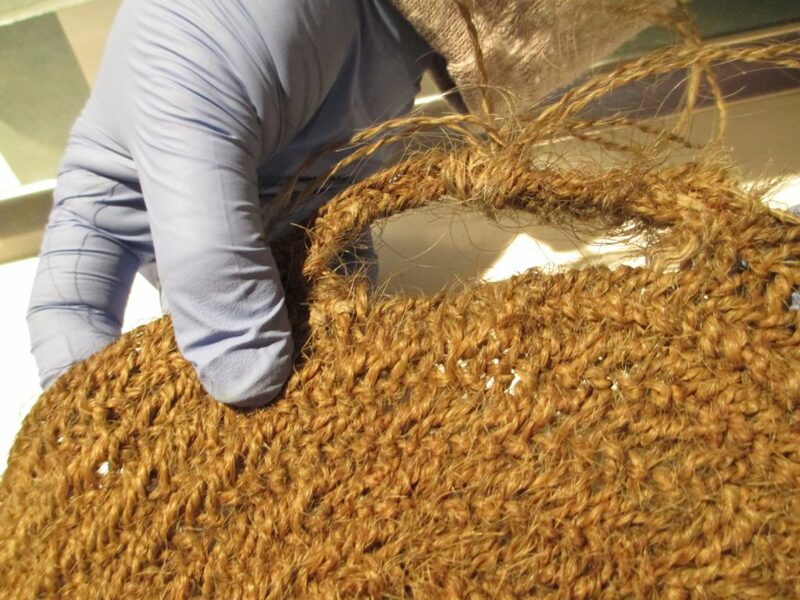 I particularly wanted a closer look at some items I saw last fall with the nalbinding class I took, like this strainer and several nalbound rugs. 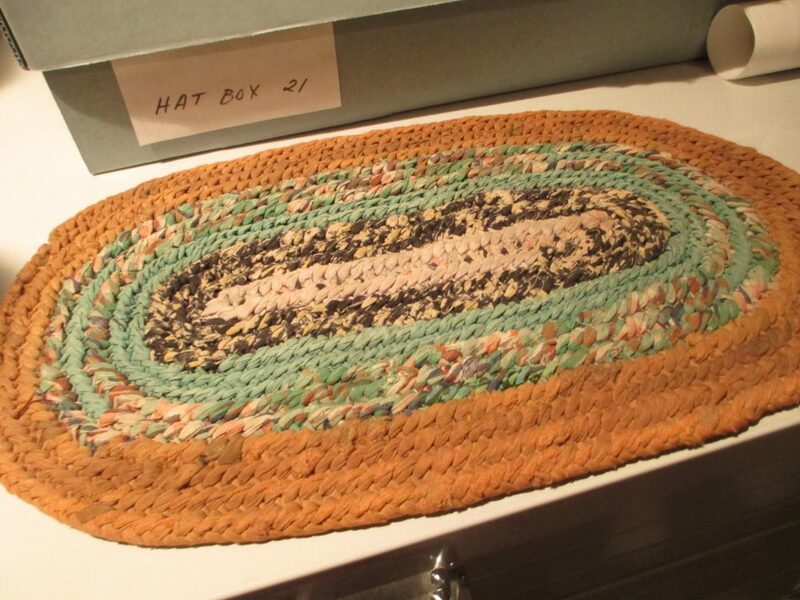 There were some other exciting finds in the collection, but I’ll save those for another time.